Warm and carefree summer vibes. 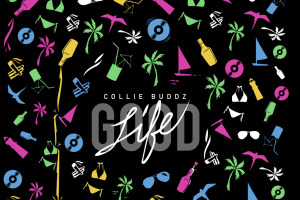 Since the release of his 2017 project Good Life, Collie Buddz has been steadily gearing up to drop his upcoming third studio album Hybrid. This year, Buddz has shared "Legal Now," an ode to legalizing marijuana, and today, the reggae veteran premieres the video for his second single "Love & Reggae" via The FADER. The song is filled with classic reggae grooves, backed by a warm bass line, and lifted by vibrant chords and soft percussion. "I haven't had this much fun creating a song in a long time! I got the full band together in my Oakland studio and starting from scratch we built out the full riddim," he said in an email. "Getting to work with everyone in a creative way outside of the show environment was refreshing and the full song came together naturally. It felt like a perfect summer time tune and I'm looking forward to performing it live on my upcoming tour!" Beginning in August, Buddz is headed out on a month long tour which will hit select major cities across the country. The run of shows will conclude on September 14 in Berkley, California. For dates and more info, go here. Watch the "Love & Reggae" video above. Thumbnail image courtesy of Phil Emerson for Ineffable Music.